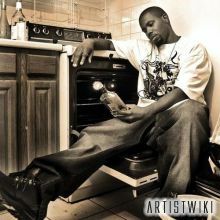 Corey Isiah Christie, better known by his stage name Reks is a Boston rapper. His albums Along Came The Chosen (2001, Landspeed Records) and Grey Hairs (2008, Showoff Records) were both released to general acclaim in the hip hop community. His debut featured hip hop musicians including Young Zee, ED OG, J-Live and 7L while his second album featured DJ Premier, Large Professor, Skyzoo, Big Shug, Termanology, Krumbsnatcha and was mostly produced by Statik Selektah. His 2008 song, Say Goodnight was #3 on about.com’s list of the top 100 rap songs of 2008.